Anuj Goel is the co-founder of Cyware; a cybersecurity platform with a mission of enhancing cyber awareness and real-time sharing of intelligence and incidents to enable proactive identification and mitigation of threats. Previously, Anuj worked at Citigroup in New York as the head of global strategy and planning covering information security and anti-money laundering. 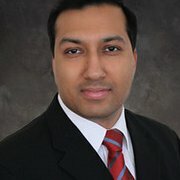 Anuj is a Senior Member of the IEEE and has served as an executive committee member of the Financial Services Sector Coordinating Council (FSSCC). He holds a doctoral degree in Engineering and has earned several globally recognized cybersecurity certifications.